In 1951, Vespa set off to challenge the most prestigious of speed trial: that of the standing kilometre. 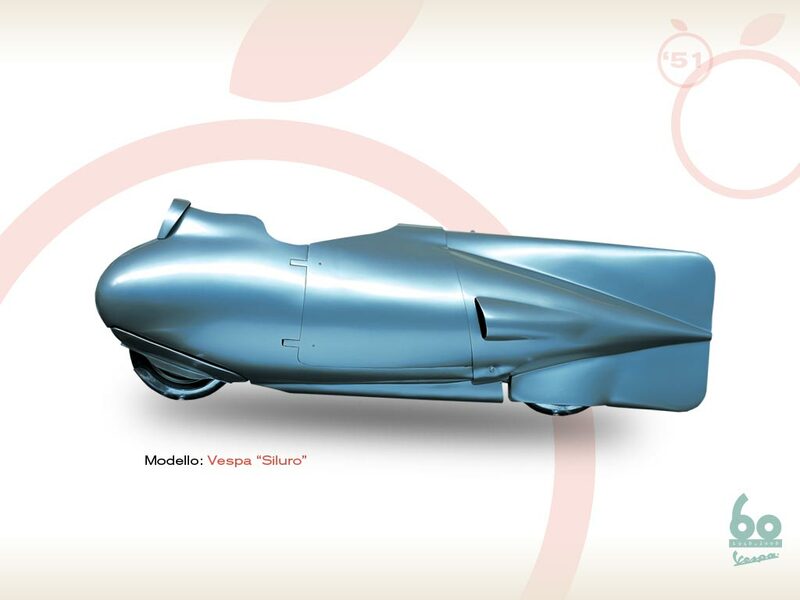 On the 9th of February, between the 10th and the 11th kilometre on the Rome-Ostia motorway, a Vespa with two horizontally opposed pistons (17.2 H.P. 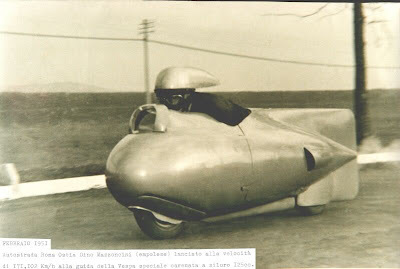 - 9500 rpm) designed by Corradino D’Ascanio and driven by the test-driver Dino Mazzoncini, beat all standing kilometre records with a time of 21.4 seconds and an average speed of 171.1 km/h. 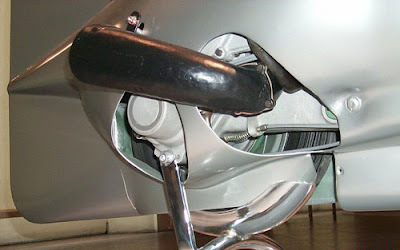 The engine’s two drive-shaft were connected by cogs and each cylinder was served by a separate carburettor, outflow controlled by the piston on the magneto side. Liquid cooled with radiator on the left side.